Fly into Faro, Portugal which is along the southern coast of the country on the Atlantic ocean. Make your way to the city of Lagos, either by bus, train or renting a car. It’s an old fortified city and is also a central location to the different surf spots in the area and has lots of surf shops/schools for you to choose from. 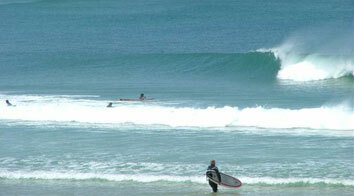 One week here should be enough time to go from a beginner to riding your first green waves. There are some really nice beaches around the city where you can swim and work on your tan. 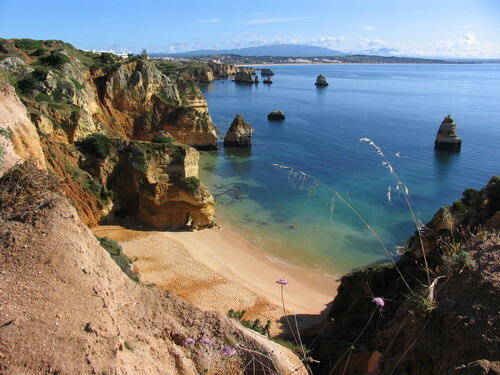 A lot of the beaches are beautiful coves backed by towering cliffs, definitely check out Praia Dona Ana. The surf spots in the Lagos area have very consistent waves and are almost always uncrowded which is great for beginners. In other words, this is a great place to learn, or if you’re already a surfer a great place to visit. Food – there’s lots of choice in Lagos, the streets are lined with bars and restaurants. The main dish is definitely seafood, but if that doesn’t appeal to you there are alternatives -Italian restaurants offering pasta options, and there’s even an irish pub that you should definitely check out – Mullen’s Bar. Also, in the main square there’s Mamma Mia which is a great spot for pizza. If you’ve got a day to explore the area, you should make your way to Sagres which is at the southwestern tip of the country. There is a fort at the end of the peninsula which you can visit and the vistas are breathtaking as the angry Atlantic smashes into the surrounding cliffs. It kinda reminds me of the limbo world from Inception, where the buildings are falling into the ocean, it has that kind of a vibe. 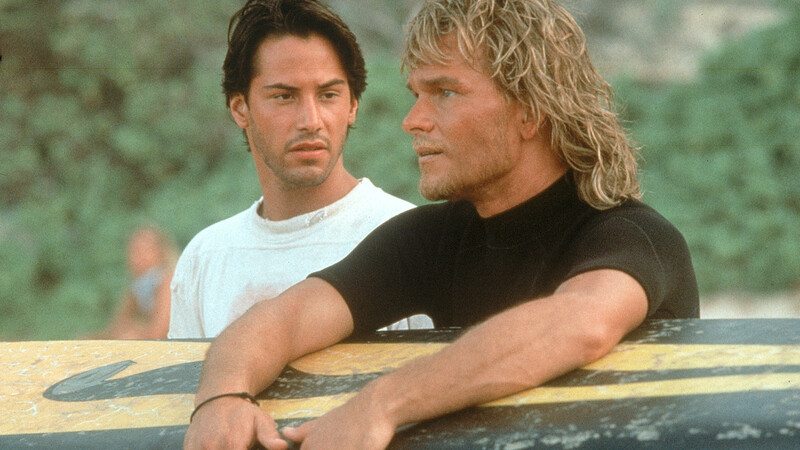 Lagos is a great place to learn how to surf because of the surf conditions and the uncrowded beaches, you won’t get beat up for dropping in on someone else’s wave like Keanu in Point Break cause there won’t be anyone else in the water. 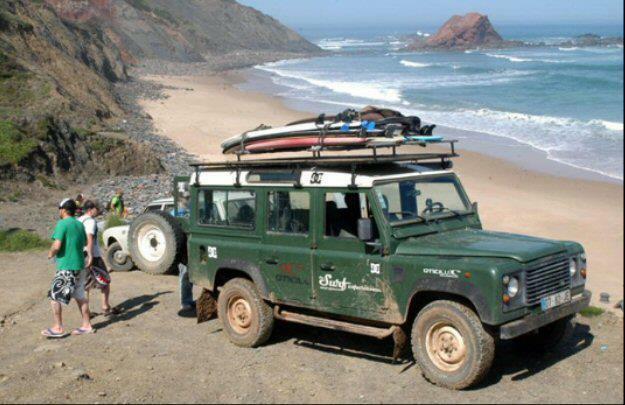 You’ll also save quite a bit of money in food & accommodation by visiting here compared to more traditional European surf spots like San Sebastian, Spain and Biarritz, France.